Petite tender steak -nearly as tender as filet, half the price. This is the Rare Steaks series, exploring the lesser known beef cuts – because there’s more to a steer than a rib eye and a tenderloin. You’ve read all about other rare steaks (the Spider, Flat Iron and the Tri Tip) but this one may be one of the least known. 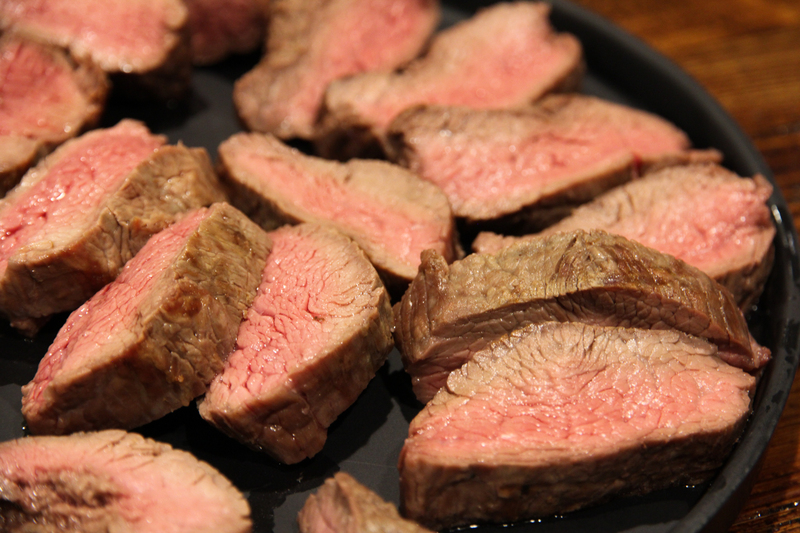 Which is unusual, because it’s the most tender muscle after the tenderloin or filet mignon. And perhaps even more unusual, because it also happens to be more than half the price of a filet. SAY WHAT?! Yup, for real. This delectable cut is also known as the Petite Tender, Bistro Filet and Shoulder Tender, but Teres Major is the actual name of the muscle, and there’s no arguing with anatomy! Good ol’ Teres comes from the Chuck part of the steer, up in the shoulder blade, sitting across from it’s neighbour the flat iron. So why haven’t you heard of it? Well, like most of the rare steaks, it takes a little more time, labor and skill to extricate this cut instead of leaving it as a whole shoulder clod, and the bigger processing plants just don’t have time for shiz like that. Like any self respecting steak, the TM likes to be taken no farther than medium-rare, but will reward you with a supremely tender bite. Season well before cooking, and use a very hot grill or cast iron pan for best results.